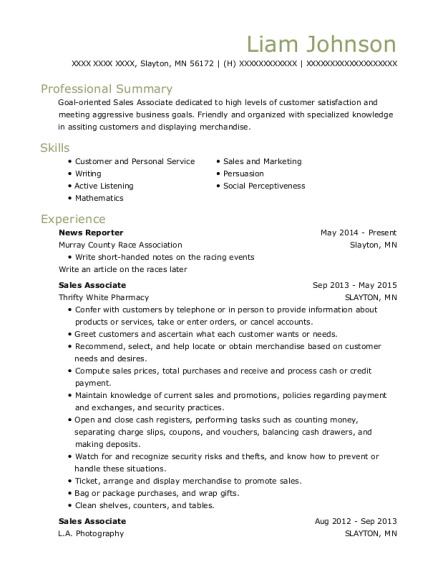 Goal-oriented Sales Associate dedicated to high levels of customer satisfaction and meeting aggressive business goals. Friendly and organized with specialized knowledge in assiting customers and displaying merchandise. Confer with customers by telephone or in person to provide information about products or services, take or enter orders, or cancel accounts. 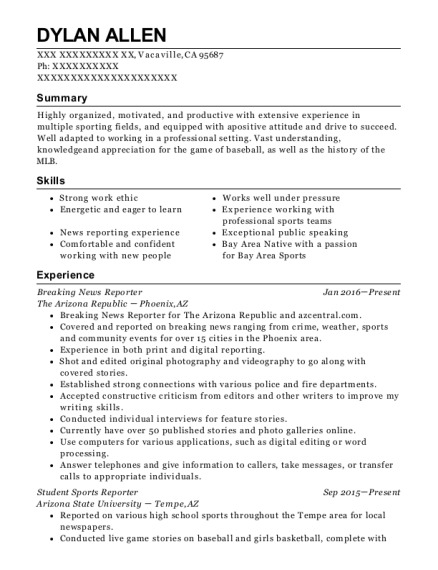 This is a resume for a News Reporter in Slayton, Minnesota with experience working for such companies as Murray County Race Association and Thrifty White Pharmacy. 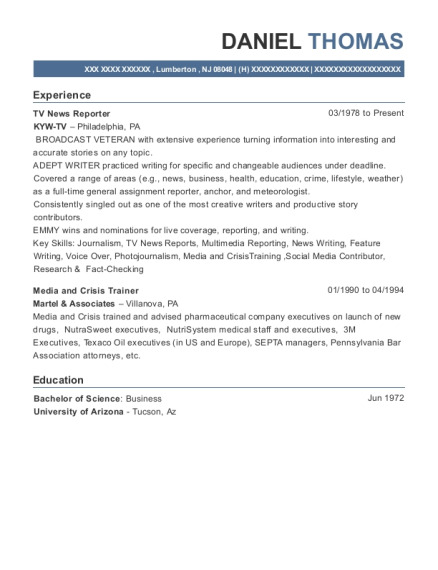 The grade for this resume is 0 and is one of hundreds of News Reporter resumes available on our site for free. 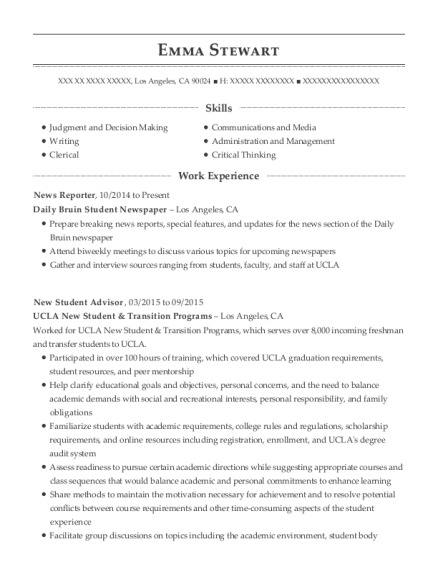 Use these resumes as templates to get help creating the best News Reporter resume.